Thirty years of browbeating from rancher Bud Smalls has penned his wife, Leah, into emotional isolation. Now Bud is gone and Leah owns the ranch, but there is no help forthcoming from Bud's brothers who want to force her out and take the ranch for themselves. When their attempt to humiliate her instead becomes her opportunity to succeed, Leah begins to find her way back to herself and learns how much she can gain by opening her heart. 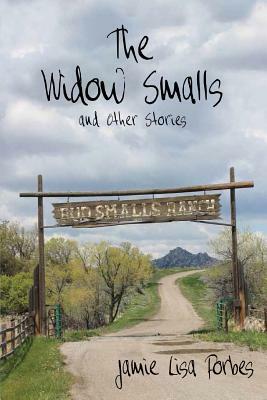 The Widow Smalls is just one of the stories in this collection by the WILLA Award winning author of Unbroken, Jamie Lisa Forbes, who writes about the hardships of making a living from the land with an understanding that comes from first-hand experience. Her deftly drawn characters include star-crossed lovers, a young rancher facing his first test of moral courage, an inscrutable ranch hand claiming an impressive relative, a father making one last grasp for his daughter's love and a child's struggle to make sense of the world around her. Each will pull readers into the middle of their stories and keep them turning the pages.